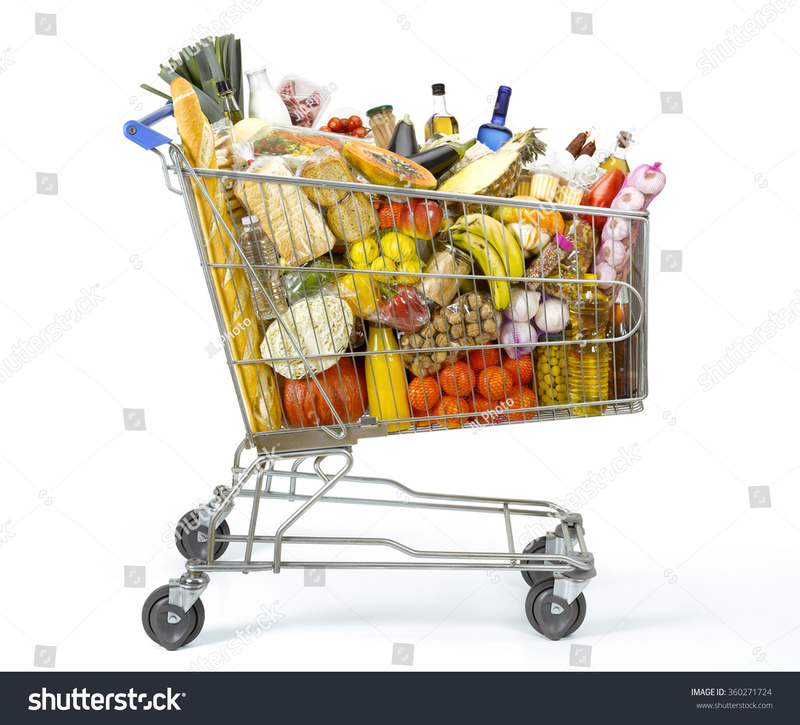 How to buy less groceries? Off late, there has been a surge in the number of home organization videos in youtube from Indian youtubers. Great content, relevant and useful tips from an Indian context. The number of views of such videos is so high, which indicates that there is a clear “need" for effectively organizing our homes. It is a different story that most of the proposed solutions are all in some way linked to buying more plastic - plastic baskets, plastic containers, plastic jars etc etc. Let’s get to the bottom of this need - why are we struggling with organising our homes? My hypothesis is that we buy way more than what’s necessary. A visit to any of the supermarkets or grocery retail chains on a Sunday evening is a proof to validate this hypothesis - Shopping carts loaded with packaged foods, groceries and personal care items. Our previous generation had a monthly list that was well-planned based on family’s needs. Given the financial constraints, they neither stocked up “extra” for just-in-case nor did they allow any items to go waste. The availability of items were limited too, as they would procure from small-scale local grocers and of course, there wasn’t this “plethora” of options of packaged foods available back then. 1. I periodically take “no-grocery” breaks for 2-3 weeks. During this time, I don't shop for dry grocery items such as cereals, pulses and spices. 2. Most of my dry grocery items are filled up in transparent plastic/glass jars, so the stock is clearly visible and I don’t end up buying duplicate packs. 3. I follow a “restrict-limit” for certain kinds of cereals and pulses. I don’t have to stock up on ALL kinds of millets. At any point of time, I would have only 2 varieties of millets at home. When they get over, I buy the next 2 varieties. The same logic applies for lentils and pulses too. I don’t need ALL kinds of dals (chickpeas, rajma, black eyed peas, dry peas etc). The limit I have set for such dals is 3 - I have brown channa, red karamani (black eyed peas) and Kashmiri rajma in my pantry right now. For a small family of 3, this is more than sufficient. 4. I buy the smallest quantity for items that I use rarely. For e.g., we use basmati rice once a week. So one kg is sufficient, whereas I make idlis twice a week and I stock up 2 kg of idli rice. Same goes with pulses. We use thuar dal and moong dal almost on a daily basis. So I stock up 1 kg each, whereas 200 gms of chickpeas/rajma/whole moong is sufficient. 5. For vegetables, I have been following this hack of noting down the list and sticking it on my fridge. For more details, refer to my earlier blogpost. 6. I keep all fruits in the two fruit baskets on my kitchen counter top. That way, the fruits are visible and we finish whatever we have bought without any wastage. 7. Except for the tomato sauce bottle that we use occasionally, I don’t stock up on sauces, preserves or jams. No biscuits, cookies or chips either. The snacks section has bottles filled with dry fruits and nuts (not more than 200 gms). And a couple of packs of chikkis. That’s it. 8. Except for a pack of muesli that we buy once a month, we don’t buy any other breakfast cereals or oats. We don’t need bigger kitchens, extra pantry cupboards or the long list of organising units (lazy Susan, plastic baskets, wire racks, cereal dispensers). Let’s reduce our consumption - buy only what we need. We don’t need to stock up for extra 10 persons or for extra 3 months. This habit of "buying less" has a huge positive impact on our health, our wallets, our lifestyle and our environment. How? Please take the time to read this important article on our current consumption model and its impact. "Currently, humanity lives at credit and consumes resources equal to that of 1.7 planets a year. That’s compared to 1.4 a decade ago and 0.8 in 1963. If population and consumption trends continue, this figure will rise to 2 planets by 2030. This puts us — and our children — on an unsustainable path. "